Older Americans may not know where their next meal will come from. 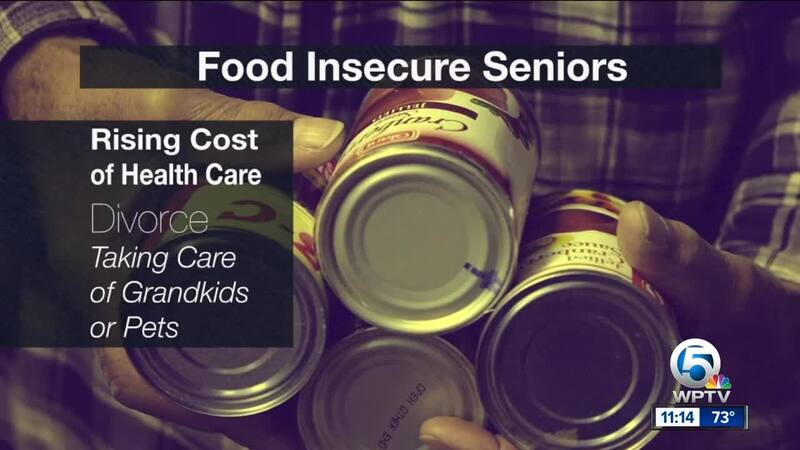 WEST PALM BEACH, Fla. — Older Americans may not know where their next meal will come from. According to the organization "Feeding America," food insecurity increased 45 percent between 2001 and 2016. The Department of Health and Human Services blamed this on rising health care costs, a higher divorce rate and more older people with dependents. Visit the U.S. Aging Administration website for services to help older adults and their families or call 1-800-677-1116 .